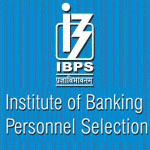 New Recruitment 2013 by IBPS for Clerk Job in Public Sector Banks: Institute of Banking Personnel Selection issued a notification for the recruitment of clerks by conducting common written examination. The notification issued by IBPS Exam now, is a New Recruitment for Clerk Job in bank by this year, it also indicates that IBPS will conduct the common written examination tentatively during November or December 2013. Aspirants who are seeking to get a bank job may fill their online application in official portal of IBPS to participate in this exam. In this section the detailed information for filling the new recruitment application are discussed. Candidates who are eligible to write this exam may make registration online by following the instructions prescribed below. Candidates who possess graduation in any stream from a recognized institution are academically qualified to appear for this exam. However, for getting clerk job scoring good marks in this exam is necessary. Any individuals who are more than 20 and below 28 years are eligible to appear for this exam. But, age relaxation for OBC and SC/ST category applicants will given as per the reservation rules. The written exam will be hosted for 2 hours and five section of questions will be asked. Each section will carries 40 marks, all these aggregates a total of 200 marks. General and OBC category applicants have to pay Rs.600/- as application fee, all others are requested to pay Rs.100/- only. This fee have to be paid either by means of Online or Offline mode. While registering the application the payment section request you to enter the payment details. Aspirants who are interested in this recruitment may apply online and get their registration reference number before the last date. Follow the official notification to make registration without any mistakes.